It's really not easy to please one's mind. You see, no one person is the same like the other. Otherwise we could label ourself as robot. 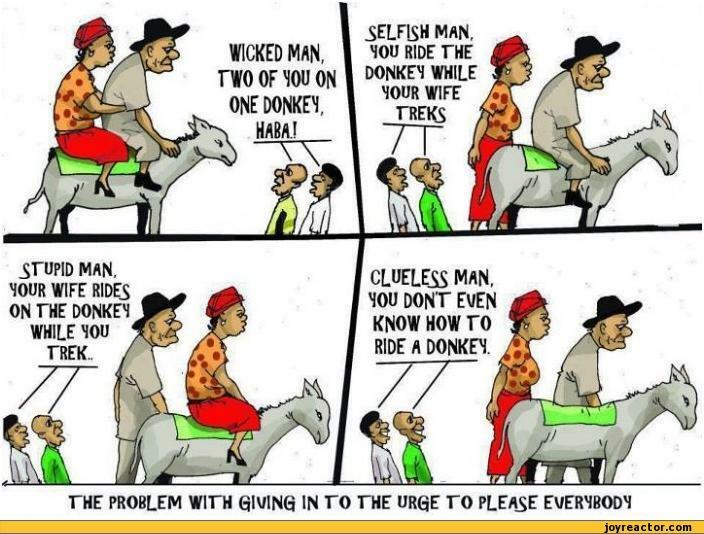 So when it come to pleasing everybody, nobody can do it right. I can say, there will be time where you will change your perspective in life and just do what is right to you. Other people suggestion does matter sometimes but in the end you have to do what makes you happy. Nobody can tell you something which in the end making you suffer. It's not wrong to ask for opinion. True or false you need to decide it by yourself. For me, I don't really care much on pleasing the society. What have they done to me so far? I feel that most of the time it would be my effort more and in the end it was not appreciated. I live life the way I like it. After all, it is my life. If it's your life then you should run it the way you want it to be.